Remaking Prime Minister Najib Razak’s image is probably the toughest challenge ever faced by public relations consultant Lim Kok Wing, political analyst Shahbudin Husin says in his latest blog posting. But it might just work if Lim gathers the best local PR consultants to rally with him, say some quarters. There are many other media experts on the attack to contend with. Kadir Jasin for example, who together with former PM Tun Dr Mahathir Mohamad, have gathered full steam. 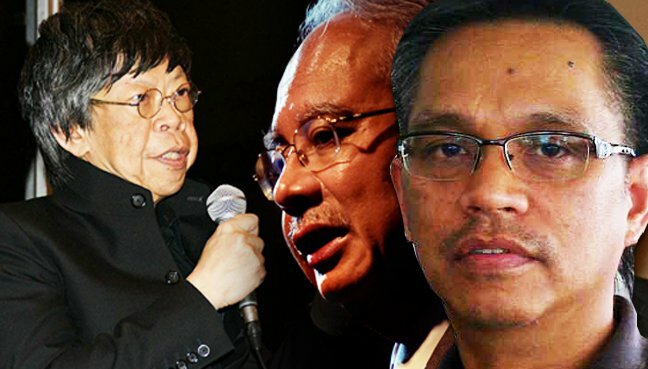 Shahbudin wonders what magic Lim can work to remove from Najib’s image the stains and blotches that have been left there by so many controversies, such as the 1MDB scandal, the Altantuya murder, the Goods and Services Tax and his wife’s alleged extravagance. To drive home his point that Lim faces an impossible task, he likens it to attempting to rebuild an old car into one that is brand new. “Najib is like a car that is almost a total loss and cannot be depended upon to take one very far,” he says. “Reviving, repairing and beautifying it would cost more than buying a new car. Shahbudin notes from various reports that Lim’s main function is to bring about a return of the public’s support for Najib through road shows in which the Prime Minister would personally listen to grouses against his administration. He points out that former prime minister Mahathir Mohamad remains Najib’s sharpest critic and is determined to see him ousted. Shahbudin ends his posting with a Photoshopped portrait of Najib wearing Lim’s hair. Was Kok Wing a scapegoat for #nothingtohide?